Explanation: Are Saturn's aurorae like Earth's? To help answer this question, the Hubble Space Telescope and the Cassini spacecraft monitored Saturn's South Pole simultaneously as Cassini closed in on the gas giant in January 2004. Hubble snapped images in ultraviolet light, while Cassini recorded radio emissions and monitored the solar wind. 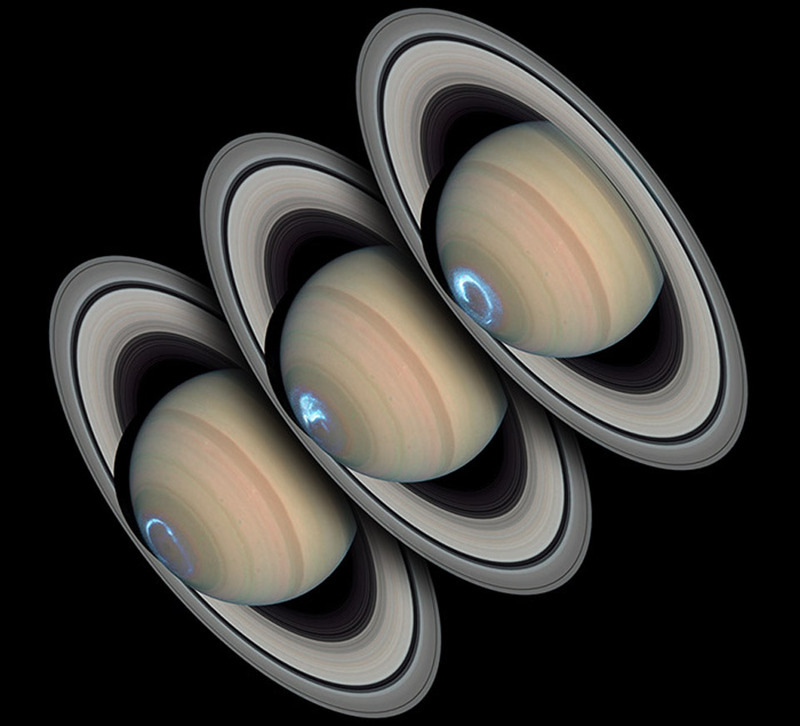 Like on Earth, Saturn's aurorae make total or partial rings around magnetic poles. Unlike on Earth, however, Saturn's aurorae persist for days, as opposed to only minutes on Earth. Although surely created by charged particles entering the atmosphere, Saturn's aurorae also appear to be more closely modulated by the solar wind than either Earth's or Jupiter's aurorae. 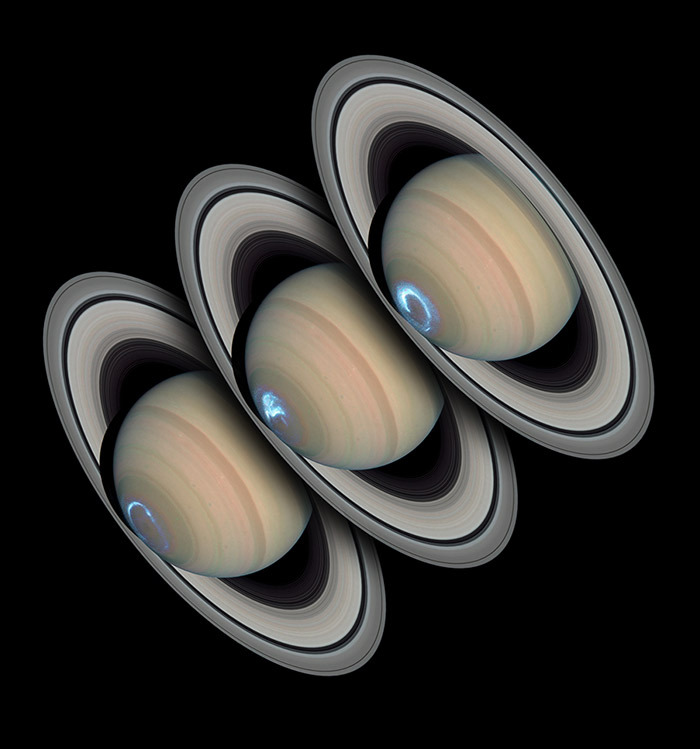 The above sequence shows three Hubble images of Saturn each taken two days apart.